Brendan O’Malley has been a broker since 2002 and has sold over $225 million in real estate. He is currently an essential member of The Sheahan Group—one of the top performing real estate teams in the city of Chicago composed of a selective collection of elite agents. Brendan’s work through The Sheahan Group is a major reason why The Sheahan Group has regularly outperformed other real estate teams—even those which are much larger in terms of personnel. 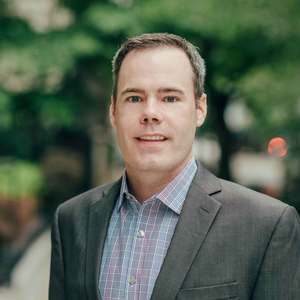 Within The Sheahan Group, Brendan works closely with and represents some of the most active builders on Chicago’s North Side, specifically Jenny Builders, J+J Builders, Gold Construction, and West End Management, to name just a few. Brendan is adept at all facets of the buying and selling process from identifying profitable new development opportunities, to preparing a resale to get ready for MLS. Brendan is also excellent with numbers, well versed in the art of the CMA and is masterful in his ability to analyze the data that goes into properly pricing a home for an efficient sale. This skill allows him to maximize the price for his clients, without languishing on the market for too long. His integrity and exceptional dedication to achieving his client’s goals have earned Brendan the trust and respect of both buyers and sellers. Brendan is a lifelong resident of Chicago who knows the city inside and out and has a true love for everything it has to offer. He is an alumnus of the University of Illinois and currently lives in the neighborhood of Beverly with his wife, Gena, and their three young children: Connor, Annmarie and Liam.